1-etapiline kraklee värv, mis kuivades praguneb. Crackle Paint is a transparent paint that crackles as it dries and creates an eggshell cracking pattern in just one step. 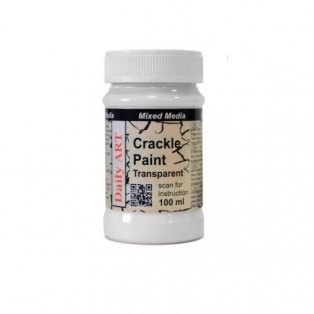 Apply Crackle Paint to any porous or semi-porous surface. Apply a thick layer with brush or painting knife and let the fluid dry. You can tint Crackle Paint to dark and intense colors by mixing it with acrylic paint. Add up to 10 % of acrylics to the mixture. 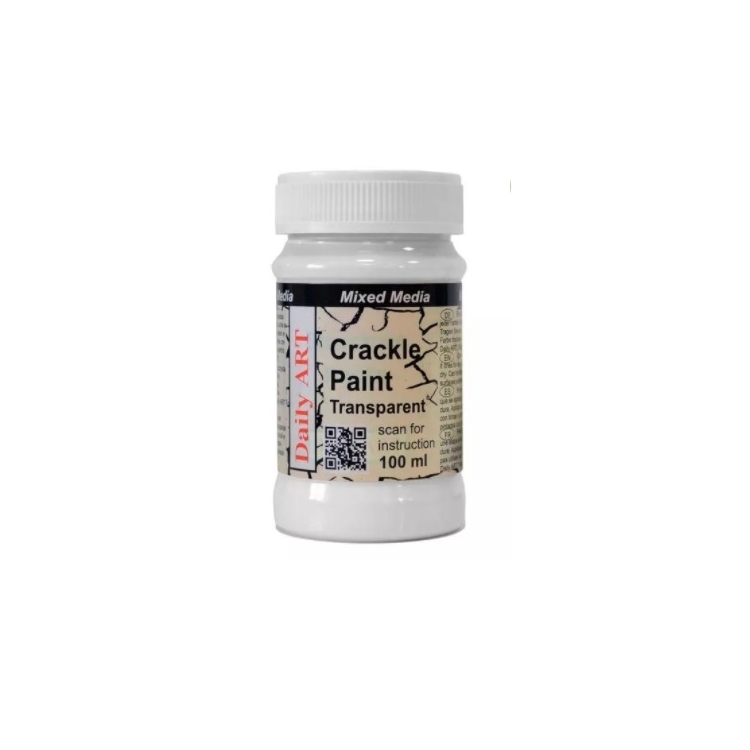 As Crackle Paint is transparent, you will need only small amount of colors to tint it. As the paint dries, it will begin to crack, showing the base color underneath. After Crackle Paint is dry, you can paint it with any paint or ink you like. Evidence the cracks with Patina, or inks, play with as many colors as you want. You can varnish the surface it as well. Never use on the surface painted with Vintage Paint as it will peel off from the surface!